ENDOR™ Exfoliant removes scaly, flaky skin and may reduce skin inflammation. May assist with alleviating the symptoms of atopic eczema, itchy flaky white capped skin. 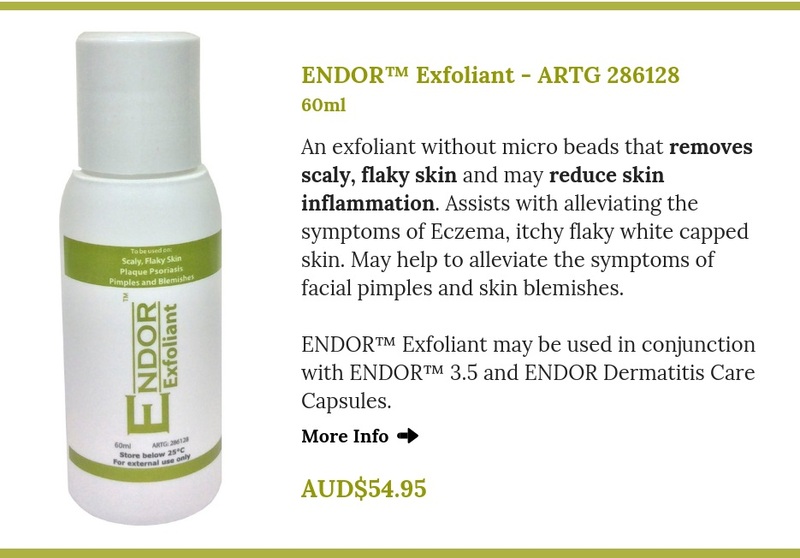 To be used in conjunction with ENDOR™ 3.5 for removing flaky and white capped hardened skin and as a general facial exfoliant..
ENDOR™ Exfoliant contains Salicylic acid for the exfoliation and should be used with caution. Always read the product label and follow the instructions for use. If symptoms persists, talk to your healthcare professional. Apply and leave for 2-5 minutes. Rinse well with water. Do not over use. In our blog you can find the list of FAQ about ENDOR™ Exfoliant. Please click here to read it. Aqua, Sodium Lauroyl Methyl Isettionate, Cocamidopropyl Betaine, Salicyclic Acid, Sodium Citrate, Acetamide MEA, Methyl Gluceth-20, Glycerin, Aloe Barnadensis Leaf Extract, Acrylates / C10-30 Alkyl Acrylate Crosspolymer, Phenoxyethanol, Dehydroacetic Acid, Benzoic Acid, Sodium Hydroxide.